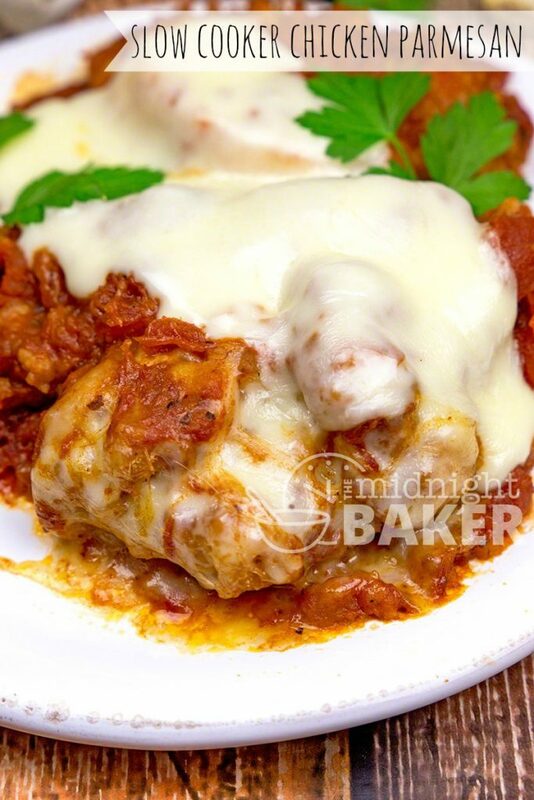 Everyone’s favorite Italian dish, chicken parmesan, adapted for the slow cooker. Uses a convenience ingredient that is the secret to it’s juicy success! Chicken Parmesan is a meal I tend to make when I don’t want to have an out-of-the-box dinner because I prefer real, home-cooked food. I also call chicken parmesan the original fast food because cooked conventionally, it’s a very quick meal. 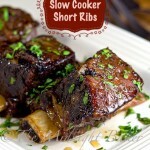 The thought of doing it in the slow cooker never excited me. 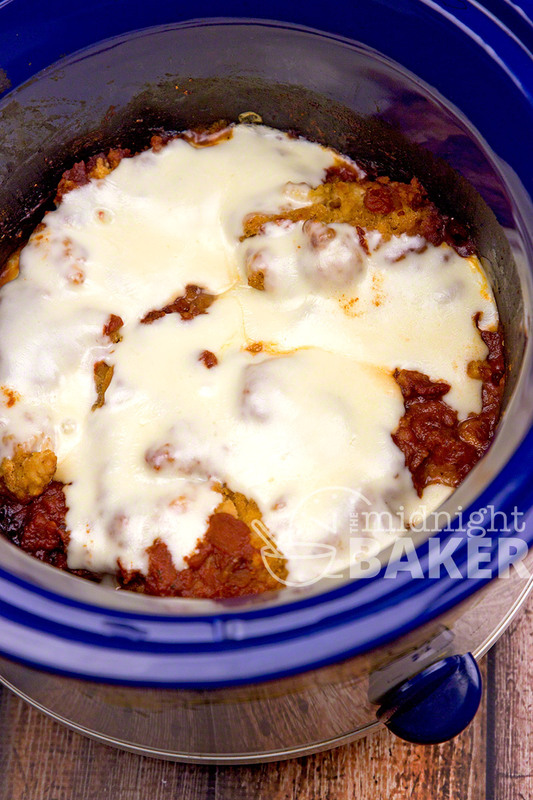 The reason for that is I don’t like chicken parmesan made with anything but chicken breast and I tend to not like chicken breast cooked in the crock pot–it gets dry and stringy. I got an idea about this one night quite a while ago when I couldn’t get to sleep. Some folks count sheep; I think of food!!! I was thinking about getting another freezer (and I did last month) and what I would stock it with. One thing I really like to have on hand in my freezers is frozen breaded chicken strips or nuggets. I’ll nuke a couple of pieces lots of times for a quickie snack. But then I got to thinking about using them as the base of a conventionally cooked casserole that had tomato sauce and topped with cheese. I couldn’t work out the proper formula to do this conventionally because the way I pictured it, there’d be little sauce. I canned that idea because all that would be is the chicken strips mixed together with a bit of dipping sauce. That idea didn’t excite me. Then just last week I was thinking about maybe doing the same thing, albeit with more sauce, in the slow cooker. 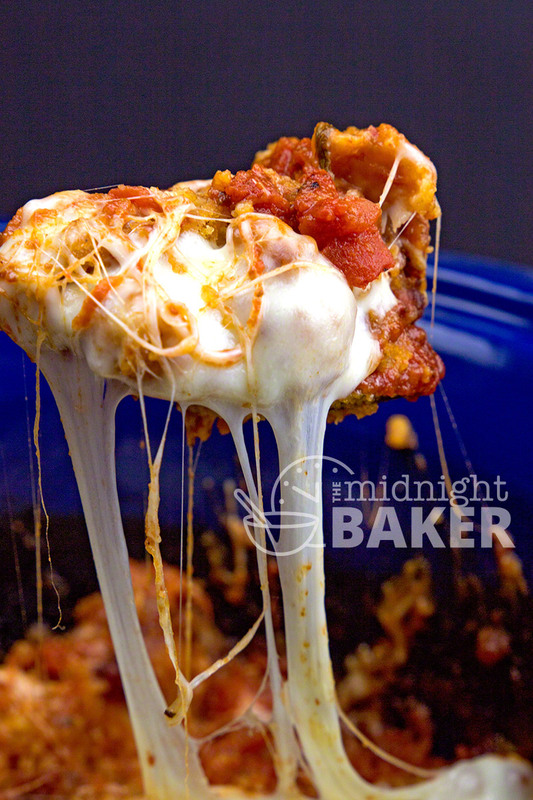 I envisioned a nice chunky homemade sauce with the chicken strips and GOBS of mozzarella cheese. That idea was it. This meal was fantastic! The chicken stayed moist, the sauce was to die for–and you can make the sauce just by itself to use on pasta because it’s the bomb. Rather than use pre-shredded cheese, I used thick-cut slices off a block of mozzarella I’d bought previously. If you can, buy the block and cut off slices. It’s FAR better and gooeyer than the pre-shredded stuff. That baby really strings up nicely (as you can see in one pic). You can dump this and just go about whatever else you’re doing. Only thing is, add the cheese the last 15 or so minutes before you plan to serve it. Adding cheese at the beginning of cooking in the crock pot seems to make it disappear. Mix all sauce ingredients in the crock pot. I used a 5 quart round crock pot. Cover and cook on low 4-6 hours, high 3-5 hours--add the chicken the last hour of cooking. 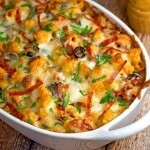 Place slices of cheese on top about 15 minutes before you plan to serve. Omit the sugar if you like a tart sauce. I like a sweet sauce and ¼ cup brown sugar does it for me. If you prefer a less sweet sauce, use 2 tbs brown sugar. Don't use frozen chicken made from "chopped and formed" chicken. Make sure they are real, unprocessed chicken breast meat. You might want to consider using a liner when making this. I sprayed but still had hard baked-on food that only a Brillo pad would remove. LOL Lillian–and it’s kinda light on the garlic too–remembering Garlic Wars!!!! Actually, this is pretty good and the frozen strips–the ones that are actual chicken pieces–work pretty well in the crock pot. Do you bury the chicken strips under the sauce too? Or just lay them on top? You can do either Amy. If you’re going to be around while it’s cooking–start the sauce and give it about 1 hour, then add the chicken. I realize some folks are at work all day and can’t, but if you are home, this will result in even juicier chicken. But it still is nice even added at the beginning. How does the breading not get soggy? It does get soggy, but the chicken is juicy. How many pounds of chicken do you use? We buy the huge bag of strips from Costco. Sharyl, the bag I used was about 2 lbs. There’s really no “exact” measurement, because you can use as much (or as little) as you want, but the 2 lb bag will serve about 4 people. Do you use the uncooked breaded chicken or the ones that are already cooked? It’s the ones that are already cooked Patty. Yes, but you will have to cook them longer. Since I didn’t use the uncooked kind, I can only guess at how long they’d take, but if I were going to use them, I’d put them in at the beginning. Could you do this with fresh boneless skinless chicken breast we don’t by frozen products because my boyfriend has to cut out all sodium. Yep you can use it. That’s the way most people make it. I tried these because I find long cooking chicken breast makes it too dry for my taste. If I was going to make it with fresh, I’d add the meat at the beginning. Sounds yummy do you think fresh boneless skinless would work, we don’t buy frozen breaded anything because the boyfriend can’t have sodium. Answered you in your other comment–that’s the trouble with prepared food. I’m sure these companies could offer a lower-sodium option. My late husband had to watch this too because of heart problems, so I know what you mean. BTW, I have some alternatives to seasonings, especially ranch, where I leave out the salt entirely. I find that tastes even better than commercial. If you use the “search” feature at the top of the page for “ranch seasoning” you’ll find it. I tried this. The frozen chicken tenders came out mushy and flavorless. Doing this in a slow cooker probable isn’t the best idea. I added mine right at the very end–they were fully cooked and not chopped and formed like a lot of frozen convenience chicken so only had to heat through. Mine were also seasoned coating. Sounds like it was cooked too long or the chicken was that “chopped and formed” stuff. That would get mushy.